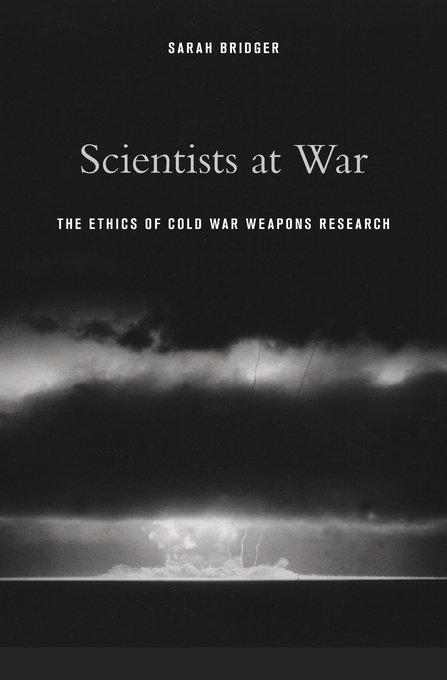 Scientists at War examines the ethical debates that severely tested the American scientific community during the Cold War. Sarah Bridger highlights the contributions of scientists to military technologies and strategic policymaking, from the dawning atomic age in the 1940s through the Strategic Defense Initiative (“Star Wars”) in the 1980s, which sparked a cross-generational opposition among scientists. The Manhattan Project in the early 1940s and the crisis provoked by the launch of Sputnik in 1957 greatly enhanced the political clout of American scientists. Yet many who took up government roles felt a duty to advocate arms control. 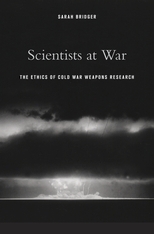 Bridger investigates the internal debate over nuclear weapons policy during the Eisenhower and Kennedy administrations, when scientific advisors did not restrict themselves to technical assessments but made an impassioned moral case for a nuclear test ban. The relationship between government and science began to fray further during the Vietnam War, as younger scientists inside and outside of government questioned the morality of using chemical defoliants, napalm, and other non-nuclear weapons. With campuses erupting in protest over classified weapons research conducted in university labs, many elder statesmen of science, who once believed they could wield influence from within, became alienated. The result was a coalition that opposed “Star Wars” during the 1980s—and a diminished role for scientists as counselors to future presidents.